There isn’t much to say here that hasn’t already been said. 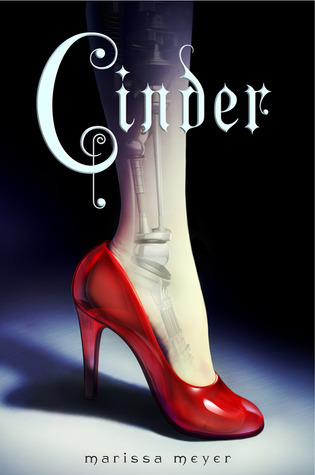 Marissa Meyer has a knack for character development, I really enjoyed watching Cinder grow as a character, I enjoyed how she didn’t exactly succumb to her stepmother and let her control her life but she also didn’t jump into action in an unbelievable way. Her rebellion was justified and genuine and my heart melted for her. Prince Kai is, well, charming, to say the least. The story between these two was refreshing, Kai was a gentleman and though outgoing in all the right ways he wasn’t demeaning or demanding as so many male leads are these days, maybe it was the prince in him but I found this to be extremely refreshing. I can’t wait to see where their relationship goes. The secondary characters were just as loveable or just as rage inducing. Iko is Cinder’s best friend and I really felt their friendship, if that remotely makes sense. Meyer has a knack for making me FEEL FEELINGS, and that isn’t easy. Even emotions from the “evil” characters came through, when the family was mourning, I mourned and raged with them. I was a tiny bit scared of the Lunar queen but I suppose that is the point, I can’t wait to see what Meyer has in store for her! The story isn’t without faults, it didn’t take me long to uncover one major twist in the story but I wasn’t disappointed that it didn’t pop out at me and there were plenty more that had my mouth on the floor. I would have also enjoyed some more world building and insight into the Lunar characters but lucky for me book two delves deeper into the world and characters so I’m not complaining! In a nutshell, friends, even if the premise (okay or cover) of this book makes you feel that it isn’t worth the hype I encourage you to try it anyway. Marissa Meyer provides readers with a brand new twist on the Cinderella tale that leaves the reader begging for more. This entry was posted in Reviews, Young-Adult and tagged Cinderella, Cyborg, fantasy, romance, Science Fiction, young adult. Bookmark the permalink. I adore Kai so much! I also got an early copy of Scarlet but can’t dive into it yet-I am very anxious to find out what he will be up to. Cinder was amazing! I didn’t read it for a long time because I really dislike science fiction. But I love fairytale retellings, and after hearding again and again how fantastic Cinder was I gave it a try. And I am so glad I did. I actually have always liked the cover, though, even if Science Fiction isn’t my thing. I feel like it really shows what the book is about. Because it focuses on the shoe I think it makes most readers thinkg Cinderella, and then the robot bits peeking out emphasize the cyborg part. I am SO glad that I gave this one a chance as well, I was really turned off by the “sci-fi” explanation but thankfully I was wrong!! The cover has grown on me, I think it was my (stupid) bias regarding the cyborg thing!! I WIN!!! Bwahaha, SO glad you finally picked this one up. I KNEW you’d love it, and of course we’d both love Scarlet even more (I mean, hello wolf boy, amirite?). Ahh!! My heart is totally broken into little bits for Kai atm. You’re right–her characterization makes these books. I am sad for Kai too..I can’t wait to re-read these. I will never doubt you again! I agree with so much of your review! I also wasn’t very into the cyborg concept, but Meyer made it work and really made all her characters feel as human as possible. And although some of the plot was obvious, it didn’t detract from the excitement of watching it unforld. I did catch a lot of the plot twists before they happened which is why I think I enjoyed Scarlet so much more. I wasn’t dissatisfied though which was great, Meyer is an excellent author!! Oh, I just loved Iko! I feel you on judging books by their covers, although Cinder was one I wanted to read based on the cover, same with Daughter of Smoke And Bone. Also, Heidi’s recommendations are always legit, I think. I never doubt Heidi’s recommendations, she has never steered me wrong!!! This series is beyond amazing, I was sooo pleasantly surprised!! I have checked this book out from the library three different times and have yet to start it. Maybe I’ll start just before the release of Cress and just read Cinder & Scarlet back to back. 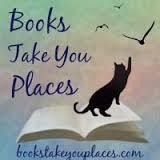 Pingback: Fairest Blog Tour: Spread the Lunar Love!